Historically, fabrics were considered as a source of warmth and protection against weather conditions. Nowadays, fabrics can be converted into smart textiles and through this process new properties are conferred to them. 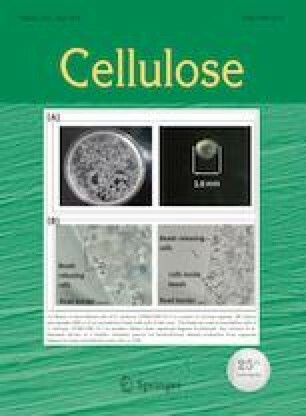 For that purpose, microcapsules can play an important role in that they can be used within many application areas including medicine or pharmaceuticals. Malaria, dengue fever and other diseases are typically spread through mosquito bites. This is a concern of many authorities in affected countries and significant research is being conducted today in order to reduce incidence. 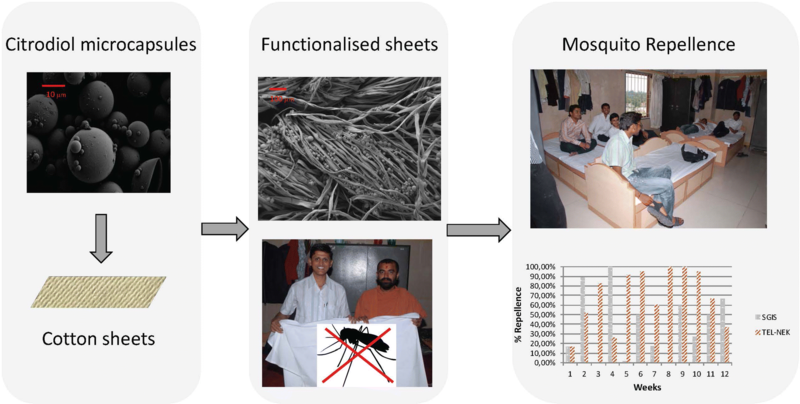 The aim of the study reported here is not only to demonstrate the effectiveness of microcapsules on cotton fabrics as a prevention to mosquito bites but also to test this in situ. Different fabrics were prepared and tested in two Indian regions. Laboratory tests were performed according to a standard designed by the Swiss Tropical laboratory. Results demonstrated that the fabrics´ repellence to mosquitos could be considered as very good and that the repellent effect of the microcapsules was maintained for more than 10 laundry cycles. Furthermore, our experiments conducted in situ confirmed the effectiveness of the technology. The authors would like to express their gratitude to the “Fundación Vicente Ferrer” and to the project CDTI IDI/20090482. Authors would also acknowledge Electron Microscopy Service of the UPV for their professional support on the SEM images analysis.